Here are another couple of projects that I did for Papertrey. 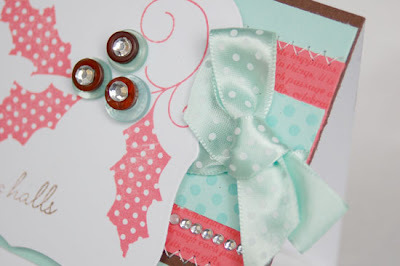 This first one uses Dawn's Vintage Ornaments and Vintage Ornaments Additions set. I stamped the image with my glue pad and then added glitter. 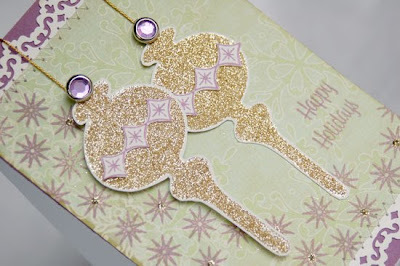 Then, I stamped and cut out the star image for the center of the ornament. I had decided to create the background using the star pattern, but when I got partially done, I liked the look as it was, so I left it. I like how the stars seem to flow down from the left side. I added some gliter dots to the centers of some of them. This next card uses Holiday Button Bits. I used Melon Berry, Aqua Mist and Dark Chocolate as my color combo. 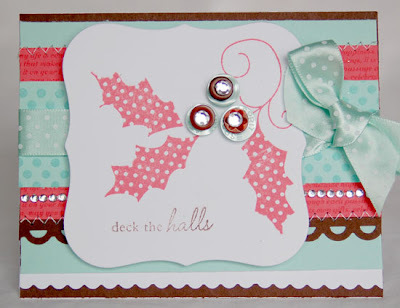 I stamped the background papers with Text Style II and Polka Dot Basics II. The stamps were released at midnight and are now available at Papertrey Ink. Beautiful as always Anabelle. Hey, check out 3SB....they are closing their doors. I remember when you and I were on the DT together....many moons ago. hi! 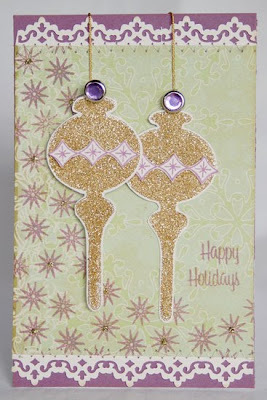 I follow your blog, you make beautiful cards. 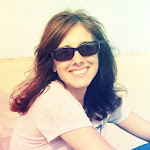 I invite you to view my website, I would like to do me any comments in the guest book, to improve the page and make things as pretty as yours. Great color combos, Anabelle! And love those glittery ornaments, too. Both cards are stunning, Anabelle. I so want to have these stamps.